Once upon a time, I arrived in Honolulu with my parents, jet-lagged, fatigued, and hungry. We decided to walk to a cheap eats Vietnamese sandwich shop for dinner. Several miles later, with lots of whining, uncomfortable feet, and growling stomachs, we arrived at the restaurant. Much to our chagrin, the shop was located next to, and practically in, the automotive department at Sears–motor oil, carburetors, and tires included. But at the end of the day, we enjoyed some truly delicious sandwiches. In general, travels with my family include in-depth research about restaurants, with much planning centered around where we will eat our meals. My parents arrived in Sydney this weekend, and as usual, my mother whipped out her list of restaurants. As I guided my parents around the city, we did something out of character. 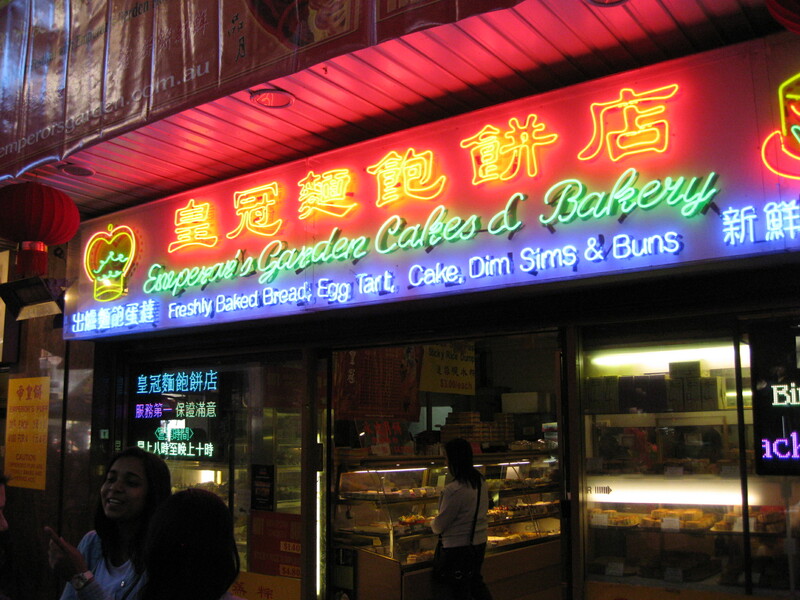 We spontaneously stopped at a place that was not on her list, Emperor’s Garden Cakes and Bakery. Not only did we stop at a place based upon the fact that there were twenty people in line, we also got in line not knowing what the hell we were about to order. Classic case of “oh this looks popular, so it must be good.” It turns out that we were in line for some handmade, hot out of the oven Emperor Cream Puffs. And for only 30 cents each, the price was right. 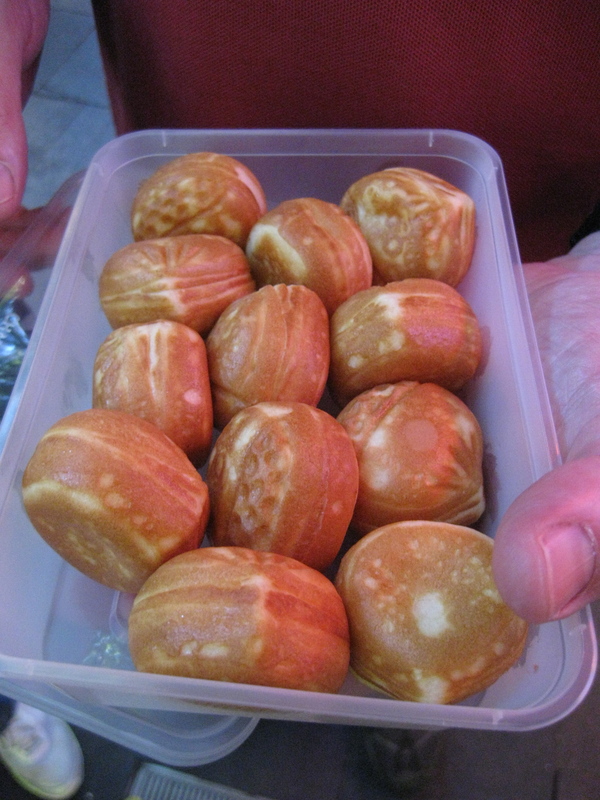 While the cream puffs were different from profiteroles and had more of an egg custard filling than a cream filling, the treat was enjoyed. 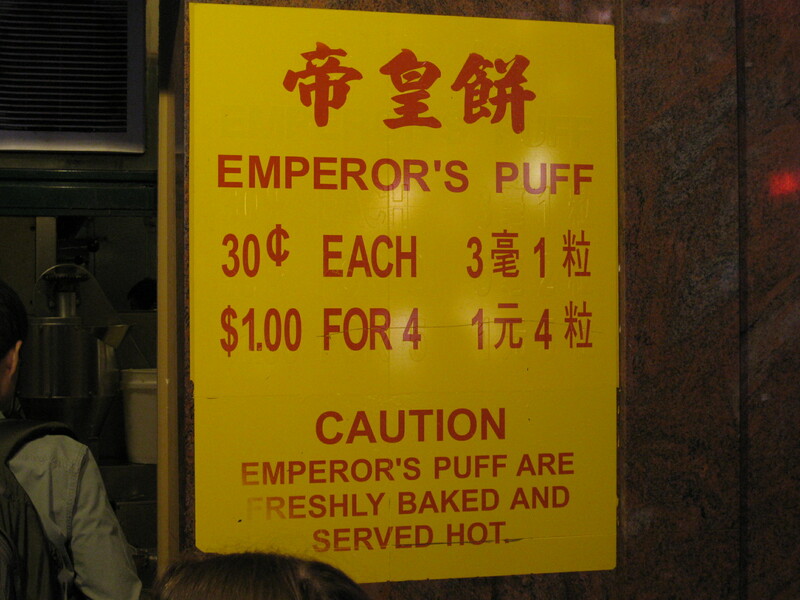 Perhaps I won’t go out of my way again for cream puffs, but for the price, it’s hard to be beat (particularly for Australian standards).